Q: What will happen with the old High School? A: The Town has created a committee to help find the best solution. The Westport High School Re-Use Committee will publish their findings soon. Q: What will become of tennis courts/memorial? A: They will be replaced back on the site. The memorial will be duplicated, even re-using part of it. The tennis courts will be rebuilt to its current size with lights and benches. A re-dedication to Dianne Snyder will be recommended. Q. How many parking spots will be at the new site. A. There will be 300 parking spots available. Q: Why Build Now? What’s the Rush? A; To answer the question, “What is the rush?”, the SBC has been working on this project methodically and in public for more than 3 years. At this point, we are constrained by MSBA requirements — we have 120 days from the date they approved our project, December 13, 2017, to arrange our financing. The committee did its due diligence in creating a project that will serve us for many years. The only “rush” is to follow through on our part so we can take advantage of the $38.1 million grant from the state, which goes away if we don’t say yes. Q: Why the Middle School Site? A: The SBC looked into 3 separate building sites (the WHS, the WMS, and a town-owned Farm Site behind the WHS). We also looked into 5 different grade configurations (5-8, 6-8, 5-12, 6-12, 7-12) and 24 different building options with cost projections, including renovations and additions to the existing WHS, and remediation and abatement of the WMS. In looking at the High School site and the Farm Site, we met with Conservation Committee Agent Chris Capone to evaluate the viability of these sites. Both the High School and Farm sites had significant wetland issues that resulted in a smaller area of buildable land. With the Farm Site, we would have required special approvals and increased costs to replicate the wetlands that would have been impacted. These issues made building on the High School and Farm sites more expensive and time consuming (with the additional time frame for the State approvals for wetland conservation) than building on the Middle School site. Building on the High School site would have also require a temporary swing space for students presently attending the High School, which would have increased costs that are not eligible for MSBA reimbursement. Also, we took into consideration the fact that the MSBA would reimburse eligible costs for the abatement and demolition of the present Middle School if we built on the Middle School site. This was an exhaustive study. Most districts go into the Feasibility Study phase looking at only one site and only one grade configuration. Because we wanted to make sure that we would be providing the Town with the most cost effective solution in the long run for the present and future needs of the WCS, we took the time and made the effort to examine every avenue before arriving at a solution. Q: Why a 5-12 School and Not a 5-8? A: The solution of a 5-12 School on the Middle School site was the best financial alternative for Westport out of the 24 building options, 5 grade configurations and 3 building sites that we examined. The final Westport School Building Committee estimate for the town share of the project is $58.9 million, with a total estimated project cost of $96.9 million. The WSBC proposal to combine the High School with the Middle School frees up the existing High School building, a town asset that was recently appraised for sale in the amount $6.4 million. These funds can be used to offset the bond. Under the proposal, the MSBA will also fund approximately half the estimated cost of $5 million for demolishing and abating the contaminated Middle School. We estimate that if we had chosen to build just a new grade 5-8 Middle School now and then come back in 10 years to replace a grade 9-12 High School, the Town would pay an additional $96 million in costs over a 30-year period (operating costs, maintenance costs, building and borrowing costs without MSBA funding) to achieve the same result we can have now for a Town share of $58.9M. This is a much costlier version of what happened when the Town did not replace the fire and police stations at the same time. The High School was built in 1951, with an addition in 1972, and will need to be replaced in the near future at an ever increasing building and interest rate costs, and at a time when the MSBA may very well not be willing, as it is now, to pay nearly 50% of the eligible costs of replacement. We are conservatively estimating that each month delay in construction will add at least $200,000* to the cost due to rising building costs. The proposed 5-12 school will house 60 percent of our student population under one roof, house 80 percent of our students on one campus, and improve the campus site with a state of the art de-nitrification septic system and new well that will each tie in the Elementary School and Library. It will have new regulation size athletic fields, an elevated indoor community walking track, new Diane B. Snyder memorial tennis courts and relocated memorial garden, new efficient plumbing fixtures for the Westport Elementary School, fire hydrants, a full sprinkler system, and improvements to site traffic, access, egress, and parking. *$200,000 per month is a conservative figure based on 4% per year construction inflation. The total construction cost is $80 Million. 4% of $80M equals $3.2M per year or $266,000 per month. Q: How was the decision made about enrollment? Will there be enough room in the new school for our student population? Will the new school be too big for the number of students we have? Why build a new school when enrollment is declining? A: The real argument here is not about capacity, but about educational plan, fiscal responsibilities, and deteriorating buildings. Even if we have a declining population, there are still Westport children who need a place to learn and be prepared to compete with others who will have an education that teaches them to think, to communicate, and to collaborate. And there will still be a shuttered middle school and a high school with a limited lifespan that need addressing. Without this aid from the state, the whole burden will be on Westport. The MSBA, as part of its process for reviewing and approving proposals for funding, prepared an analysis of Westport population trends, beginning in 1993 and ending in 2024. This analysis examined past population figures, past enrollment by grade and estimated future trends. It was on that basis that the MSBA proposed, by letter of June 8, 2015, that a 5th through 12th grade Middle-High School building designed to replace the vacated middle school should be built to accommodate 860 students. This sort of analysis is performed by the MSBA for all communities seeking funding by the state to build a new school. They have statisticians who take into consideration the many factors impacting student population in communities, looking at births, females of child-bearing age, grade to grade survival ratios, base enrollment projections, building permits, housing sales, planned building projects, and many other determinants to arrive at a number of students and building size that they will fund. They adjust for construction (students who are attending school elsewhere who might return to a newly built school), new planned housing developments, and for enrollment growth over and beyond the forecast period. It is a very thorough and analytic process. In our case, they looked at a 10-year average enrollment, a 5-year average enrollment, a 2-year average enrollment, and 5 and 10 year projections. The 10-year projection was for 555 grade K-4 students and 795 grade 5-12 students. The MSBA increased this number by 3.3 % (35 students for grades 5-12) to bring the total number of grade 5-12 students to 860 in order to adjust to fluctuations in the out-of-district enrollment patterns. The concern was that we have had many students leaving the school system after grade 6 or 8 and we will need to accommodate those who now stay because of a great new school with first-class facilities. Q: What about the PCB contamination of the Middle School? Why did the Court deny our Claim for Damages? A: In 2011, while in the process of replacing windows, PCBs were first detected in caulk at Westport Middle School. Westport hired experts to perform tests, studies and make recommendations. Westport also worked with the EPA to develop a plan to remove the original sources of contamination as well as secondary contamination of other surfaces and air. Westport had found PCBs in the school’s caulk, its interior and exterior brick and concrete, interior surfaces, interior dust, and exterior soil and sidewalks. Testing of the school showed PCB containing caulk at levels up to 270,000 parts per million (ppm), well in excess of authorized levels by the EPA. In September, 2013, a comprehensive feasibility study performed by CGKV Architects, Inc. found that it would cost up to $38Million to remove all of the PCBs from the middle school and renovate the school. In September 2014, the EPA required Westport to either fully remediate the Middle School or close it. In 2014, the Town of Westport filed a suit against the manufacturers of PCB containing plasticizers seeking to recover property damages to remediate, treat and remove PCB contamination from Westport Middle School. The trial court granted Monsanto’s Motion for Summary Judgment requiring Westport to prove that it was reasonably foreseeable in 1969 that Monsanto knew of the risks of PCBs in caulk at levels to cause personal injury. The Court of Appeals upheld this ruling. Congress enacted the Toxic Substances Control Act (TSCA) and gave the EPA power to establish and enforce regulations. Under EPA’s regulations, the use of PCBs in products such as caulk at levels of 50 ppm or above is “unauthorized use.” Years before, the EPA had even issued a press release encouraging school administrators to take steps to reduce exposure to PCBs. In fact, 40 CFR sec 761.20 cautions that “PCB items with PCB concentrations of 50 ppm or greater present an unreasonable risk of injury to health within the US.” Once Westport detected PCBs well above these levels, it took action to comply with EPAs guidelines. Q: What Athletic Fields will be included in the Project? A: The project will include new High School regulation-size fields for soccer, field hockey, baseball and softball. The existing fields used by the students today are typically too small to meet the current National Federation of State High School (NFHS) standards. In addition, there will be 3 newly planted practice fields, one of which will be shared with the elementary school. The project will re-use existing wells, which would otherwise be abandoned, for field irrigation. Q: Will there be a significant Traffic Impact? A: A professional Traffic Impact Analysis was commissioned to investigate and analyze existing roadway conditions, current and projected traffic volumes, traffic safety, future trip distribution, and intersection capacity. The analysis concludes that the construction of the Middle/High School on the previous middle school site is expected to have minimal impact on traffic and safety operations. The traffic which currently leaves the library and exits onto Old County Road is uncomfortably close to a blind curve to the east – a potentially unsafe condition. The proposed design relocates this exit further from the blind curve, allowing significantly increased visibility with oncoming traffic, and significantly improved safety. Q: Where will the Drinking Water come from? A: It is anticipated that the drinking water will come from 2 wells – one new and one existing. This system will serve not only the new school, but also the elementary school and the library which share the 40- acre site. The continued use of one existing well location along with the addition of a slightly smaller new well provides a built-in redundancy in case either well were to go temporarily out of service. Another benefit is that the new well can be built entirely to current standards, with no buildings, playfields, or roadways within a 175’ radius. This proposed solution has been reviewed with the Massachusetts DEP and Westport Board of Health. Q: Will the Volume of Water Used go up Substantially? A: As part of the project, all the fixtures in the existing Elementary School will be retrofitted to current standard low-flow. This will substantially reduce water consumption at the WES. The existing Middle School to be demolished is currently outfitted with old high-flow fixtures. Even though the new middle / high school will accommodate more kids, it is likely that the total volume of potable water usage will decrease compared to the prior usage from the existing elementary and middle school facilities. Q: What sort of septic system will be used? Where will the leaching fields be located? A: A new “Title 5” septic system will be installed, which will include a nitrogen removal system in addition to standard Title 5 requirements. Mass DEP requires the new septic system serve the new school, the elementary school (with retrofitted low flow fixtures) and the library. It is currently anticipated that the new leaching field will be located between the new school and Old County Road in the general location of the existing Middle School leaching field. The overall concept has been reviewed with the Massachusetts DEP, Westport Board of Health, and Westport River Watershed Alliance. In the next phase of work, soil analysis will be performed around the site to review potential cost benefits of alternative leaching field locations. Q: How will storm water runoff be controlled? A: A stormwater management system will be designed for the project in accordance with all applicable DEP Stormwater Standards. It will include a standard collection and treatment system and a series of subsurface groundwater recharge systems, as well as several bioretention areas that will be constructed at-grade (versus underground). Once the design grading has been refined in the next stage of work, proposed locations of these items will be reviewed with Westport stakeholders and the relevant public agencies for approval. Q: How much will my taxes go up? A: For a 30 –year level debt bond of $58.8 Million, each $100,000 in property value will be assessed a tax of $9 per month or $103 per year. 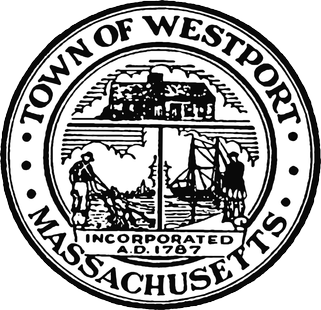 For an average ($400,000) property in Westport, the amount of increase in taxes will be $412 per year. Q: What is the difference between an Override and a Debt Exclusion? Which method will Westport use to fund the new Middle-High School? A: Westport will be asking voters at Town Meeting and at the Ballot Box to approve a Debt Exclusion to fund the new school. Q: What is an Override? A: Proposition 2 ½ allows a community to assess taxes in excess of the automatic annual 2.5 percent increase. A community may take this action as long as it is below its level ceiling, or 2.5 percent of full and fair cash value. An override cannot increase a community levy limit above the level of the community levy ceiling. When an override is passed, the levy limit for the year is calculated by including the amount of the override. The override results in a permanent increase in the levy limit of the community which, as part of the levy limit base, increases at the rate of 2.5 percent each year. A majority vote of a community’s selectmen, or town or city council allows an override question to be placed on the ballot. Override questions must be presented in dollar terms and must specify the purpose of the override. Overrides require a majority vote of approval by the electorate. This is a permanent increase. Q:What is a Debt Exclusion? A: Proposition 2 ½ allows a community to raise funds for certain purposes above the amount of it levy or levy ceiling. A community can assess taxes in excess of its levy limit or levy ceiling for the payment of specified debt service costs. An exclusion for the purpose of raising funds for debt service costs is referred to as a debt exclusion. Debt exclusions require voter approval. The additional amount for the payment of debt service is added to the levy limit or levy ceiling for the life of the debt only. Unlike overrides, exclusions do not become part of the base upon which the levy limit is calculated for future years. Reimbursements such as state reimbursements for school building construction are subtracted from the amount of the exclusion. Both of these exclusions require a two-thirds vote of the community’s selectmen, or town or city council in order to be presented to the voters. A majority vote of approval by the electorate is required for both types of exclusion. Questions presented to exclude a debt obligation must state the purpose for which the monies from the debt issue will be used. This is not a permanent increase. A: When the PCBs were initially discovered at the Westport Middle School, Westport looked into the possibility of regionalizing with the Dartmouth public schools. There was no interest on the part of Dartmouth at that time. When Westport filed its Statement of Interest to conduct a feasibility study to find a solution to the closing of the Middle School due to hazardous materials, the MSBA moved Westport to the front of the line ahead of other communities so that we could pursue a solution for our educational needs as quickly as possible. They did not advise nor require Westport to consider regionalization beyond our initial efforts and there were in fact no suitable partners available at that time. The process for regionalization of a school district with the school district of another community is a long and involved process which requires several years of planning and detailed analysis of academic programming, quality of the programs and services, technology, physical plant, and fiscal issues with potential town partners. Issues such as loss of local control, state requirements for local funding through the Chapter 70 formula, equalizing salary schedules and benefits, and transition costs would all need to be evaluated under a regionalization scenario with both towns at their respective Town Meeting and receive approvals from both partners with a 2/3 majority Town vote. Increased transportation costs and state (DESE) limitations regulating the time a student may ride a bus are also factors. Some districts who have regionalized have requested to de-regionalize to better accommodate different preferences in the two towns for spending and programs. Q: What Happens if We Vote No? A: There are costs associated with not approving the project. Rejecting this proposal could delay construction of a new facility for at least 5 years or more. There’s no guarantee that the MSBA will invite Westport back into their program. We would have to re-submit an application and wait from year to year as we were considered along with all the other communities applying for reimbursement. Again without guaranteed funding from the MSBA the cost would be much higher. This would also mean a loss of nearly $40Million in funding from the MBSA, including the loss of $700,000 that has already been spent on design and OPM costs to date. Even if we were able to get back into the MSBA pipeline in the next several years, a new feasibility study would be required with additional costs associated with that study. The Westport Middle School is contaminated with PCBS and the Westport High School is more than 60 years old with aging and outdated systems in need of upgrading and repair. Repair projects may be eligible for reimbursement from the MSBA at a base level but only if they are accepted into their program. It is unlikely that the MSBA would agree to repairs of either the existing WHS or the WMS since the feasibility study examined those alternatives for both sites and it was a much costlier solution in each instance. The cost to abate and demolish the Middle School building is estimated at $4.8M. We will lose the state picking up half of the eligible costs for us to remove this building and allow us to build a new Middle High School in its place. This vacant, contaminated building requires at least $100K/year to heat and secure moving forward. The Westport Community Schools currently lease modular units to house the 2nd grade. This temporary solution costs the Town $511K over a 3-year lease, and additional funds will be needed for each year there is a need to continue leasing these temporary units. The 7th grade students are in basement classrooms with no windows at the Westport High School. Many of the rooms used as classrooms are not full size rooms and cannot provide the space needed for today’s educational programs. We will continue to lose students to other high schools and other communities where dollars will be spent in those communities instead of Westport, harming Westport businesses. Lastly, we have seen construction costs increases over the past two years. Based on the current estimated trend of construction costs, now increasing at 4% per year, we can expect that the longer we wait, the costlier this project becomes.